I was trying to get video yesterday of Summer crawling because very soon those days will be over. She is wanting to walk as much as possible. I got a mini Columbus Crew soccer ball a few years ago at Comm Fest and I kick it around the house. Summer thinks it is hilarious and we kick it back and forth. So I got video of that too. This animated image doesn't do justice because you can't hear her giggling the entire time. 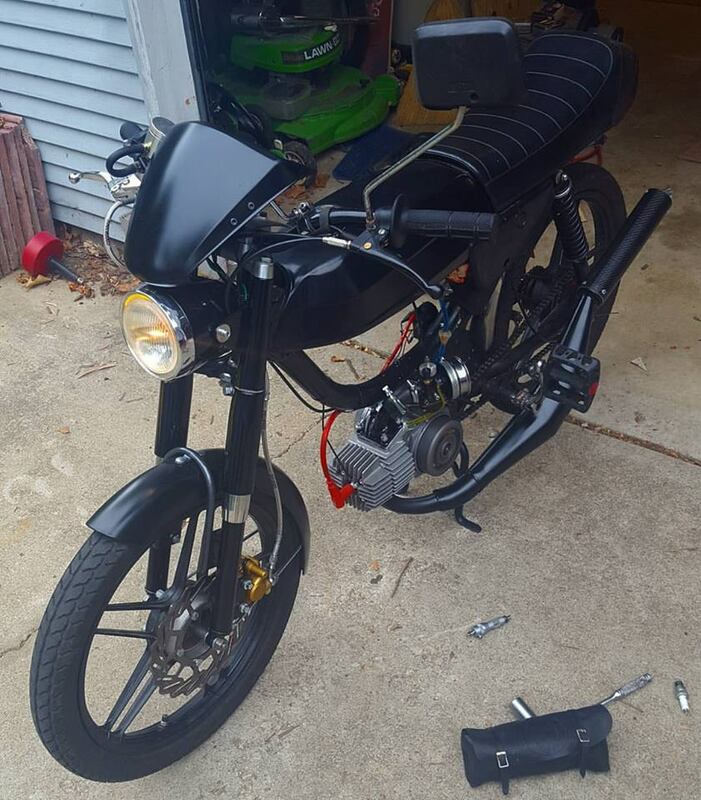 One of my friends, William, bought my Puch Magnum a couple years ago and he has been riding it and doing his own touches on the bike. I have not seen it in person in about 18 months and William asked for help timing the newly rebuilt motor yesterday. I went over and offered my assistance. I even got to fire it up and it REALLY made me miss it. So much fun! Starting out Wednesday morning with some patchy fog, mainly south of I-70. Another very warm day with the humidity making it feel like the low-mid 90s. More isolated showers & storms, mainly for the Southern half of Ohio where a stationary front has been parked. That front will lift north Thursday bringing a better chance of rain for the rest of Central Ohio with more scattered showers and storms. 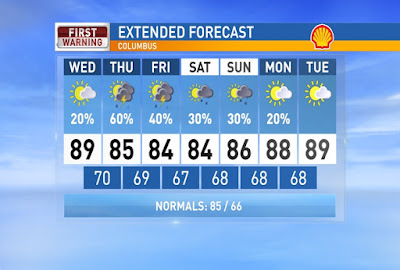 Temps stay in the mid-upper 80s through the weekend with the chance of scattered rain staying around as well. Have a good one!